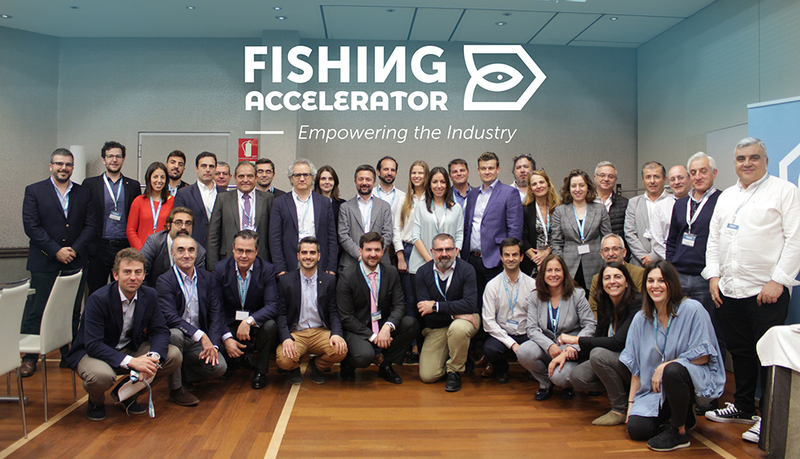 On May 15, we have celebrated the Opening Day of the Second Edition of Fishing Accelerator in Vigo. We had the opportunity to listen to eleven presentations of disruptive technologies in the fields of sanitation in production plants, the selectivity of the fishing gears with amazing ligthing devices, the use of algae for preservation purposes or ship management and optimization of routes software among others. It was an intensive day of presentations and meetings where our 8 corporate partners had the opportunity to speak directly with representatives of cutthing edge tech companies and startups. ARVI, Mascato-Arpesco, Budenheim, Frigoríficos del Morrazo, Opromar, Orpagu, Pescanova and Pescapuerta had the opportunity to learn more about the technologies and establish the next steps in the pilots they are going to develop together. Founded in 1997 with the concept that all production processes can be improved and with the aim of manufacturing high-quality machinery through the use of state-of-the-art technology and a specific customer service philosophy. Software development and engineering, applying Big Data/AI, IoT, Blockchain, Web/Mobile and Cloud Computing to enhance industries and territories with smarter solutions that improve efficiency and sustainability. Spin-off from the University of Santiago de Compostela (USC, Spain), whose activity focuses on the production of aqueous extracts from algae in the Galician coast. Global leaders in bycatch reduction technology, providing technical solutions that work for fishermen and the environment. Revolutionary technology that offers a clean, economical and effective solution to the need to reach and maintain low temperatures. Designs and builds light emitting devices, with fishing stakeholders, to increase commercial fishing gear selectivity and make the industry more sustainable. Designed by and for fishermen to help them catch only the right fish. 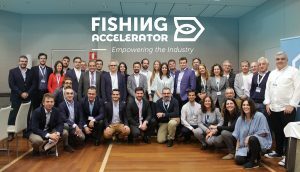 Fishing Accelerator continues to look for innovation for the fishing industry while managing to develop pilots that make the activity of its corporate partners more efficient and sustainable.